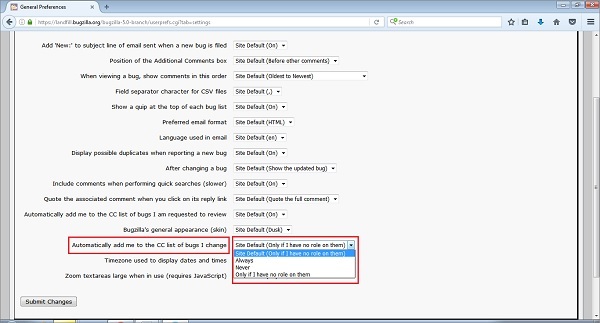 General Preferences allows changing several default settings of Bugzilla. 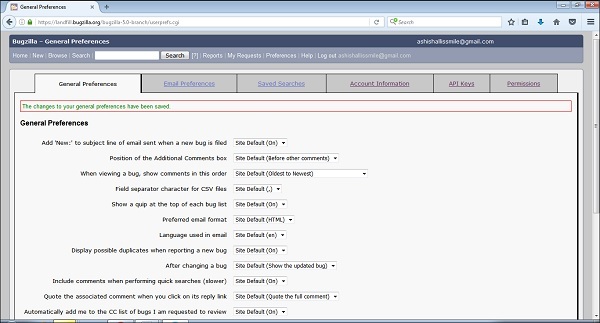 Administrators have the power to remove preferences from this list, so the user may not see all the preferences available. 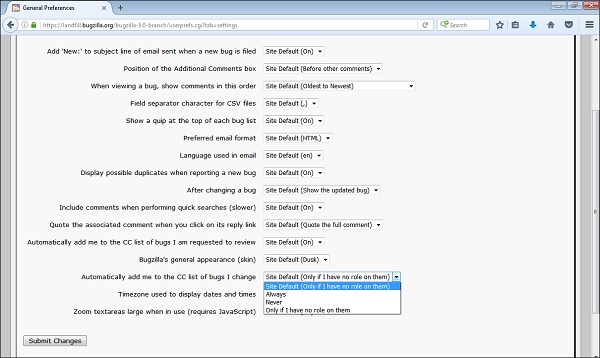 To navigate to General Preferences, click on Preferences or User Preferences from the Homepage of Bugzilla. By Default, the General Preferences tab opens with different preferences as shown in the screenshot below. Each preference is very straightforward and self-explanatory. 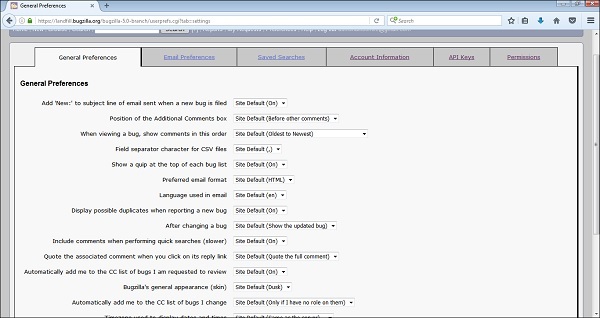 The user can easily understand the field and select the option from the list. For example – To set “Automatically Add me to CC list of bugs I change”, select Always from dropdown list. Click on Submit Changes button, which is at the bottom left hand side of the page. A successful message will appear that says – “The changes to your general preferences have been saved” as shown in the following screenshot. Similarly, other General preferences can be changed simultaneously.